PARIS, April 15. /TASS/. 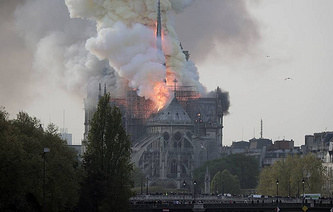 French President Emmanuel Macron will head over to the site of the fire that broke out at the Notre Dame cathedral in Paris, the BFM channel informed citing the Elysee Palace.